CLARE COUNTY COUNCIL estimates that the repair works to infrastructure following the recent storms will cost in the region of €23.7 million. Fine Gael Clare TD, Joe Carey, said the damage to the Clare coastline highlights the need for the Irish Government to access EU funding for the clean-up operation. Last week, Junior Minister Brian Hayes who has responsibility for the Office of Public Works, said he believes it is “inevitable” that more flood relief funding will be released for areas that need it. “I’m not surprised at the estimated cost of works as a result of the unprecedented damage caused by the recent storms. The estimate of €23.7 million highlights the urgent need for the Irish State to apply directly to the EU Solidarity Fund, which has previously been accessed by Germany, France and others,” he said. The storms devastated large parts of the west coast, causing significant damage to public infrastructure as well as retail and residential properties. The sheer scale of the bill for Clare alone highlights the need for Government to apply to the EU for this essential financial assistance. Carey said that the damage caused to livelihoods and homes will have serious and lasting effects on those who live near or in the areas affected. “I intend to discuss this matter directly with the Taoiseach and will be raising the issue in the Dáil once it reconvenes next week,” he said. Meanwhile, other local authorities are also surveying the damage. Local authorities on the east coast experienced relatively little damage, but councils in Galway and Mayo say damage to the coastline could cost in the region of €30 million, while Kerry County Council is looking for €20 million for coastal repairs. 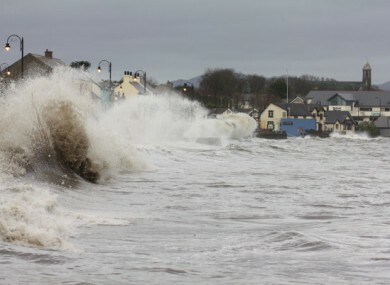 However, even when there are coastal defence schemes in place they don’t always work, as Bray town found out on Monday when the beach, promenade and harbour flooded. This is the first time it has flooded since the Bray coastal protection scheme was completed in 2001 at a cost of €5 million at the time. Sinn Féin councillor John Brady raised concerns that thousands of tonnes of stone have been washed away which he says is why the area flooded. “The project was supposed to have been monitored and replenished over the last 12 years but this simply has not happened. This has left the projects overall viability in question leaving the seafront at risk of flooding,” he said. However the the town manager Des O’Brien said that it is not the case and that maintenance work has been carried out on the coast over the years. He commended the council workers for working tirelessly to clean up the beach. Email “Clare coast worst hit by storms with repair works to cost over €23m”. Feedback on “Clare coast worst hit by storms with repair works to cost over €23m”.